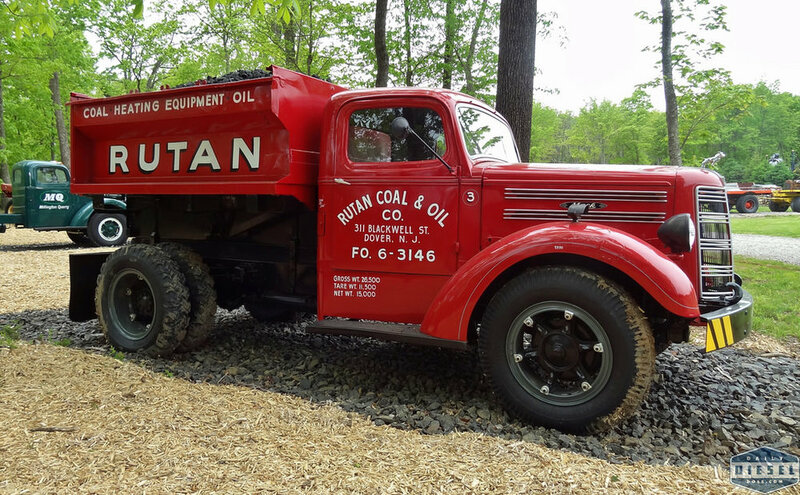 In 1947 a Mack model EF scissor-lift retail coal delivery truck was acquired by the Rutan Coal Co. of Dover. After they went out of the coal business it was acquired by prominent truck historian / enthusiast / restorer and supporter of the Heritage Center, Kerry Day. After Kerry’s untimely death, the Day family donated it to the Friends of the NJ Transportation Heritage Center via curator Capt. Bill McKelvey and Tom Amaducci delivered it to the Phillipsburg Pump House site. McKelvey convinced the “Friends” to donate the Mack to the Mahan Collection Foundation at Basking Ridge for needed preservation and restoration. Gary Mahan picked it up in 2011 and subsequently wonderfully restored the veteran. That was timely, as soon thereafter the Phillipsburg site was hit by waves of vandalism and theft. The Mack EF is now safe, restored, and on display for visitors to enjoy. Another good and timely decision indeed!